Brittany has a passion for all things music related and has been performing professionally as a singer for over eight years. She has also recently began performing regularly as a DJ. 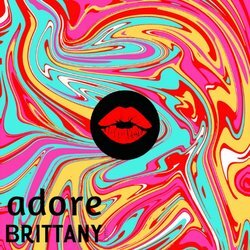 Brittany’s sound originated from a love of rock music and powerful female vocalists and has developed into a strong pop sound with electronic dance influences. Brittany released her debut EP 'UNDEFEATED’ in late 2015. Wanting to release something a little unexpected Brittany released a sassy dance song ‘Need It’ in March 2017. ‘Right now, I am loving music and the direction my career is taking as an artist. I am enjoying the tracks I am releasing and the gigs I am doing'. Gaining over 50,000 followers across her social media sites with her unique and powerful vocals Brittany is looking forward to connecting with more people as she moves into the next phase of her career.